Yoga classes were linked to better back-related function and diminished symptoms from chronic low back pain in the largest U.S. randomized controlled trial of yoga to date, published by the Archives of Internal Medicine as an “Online First” article on October 24, 2011. But so were intensive stretching classes. 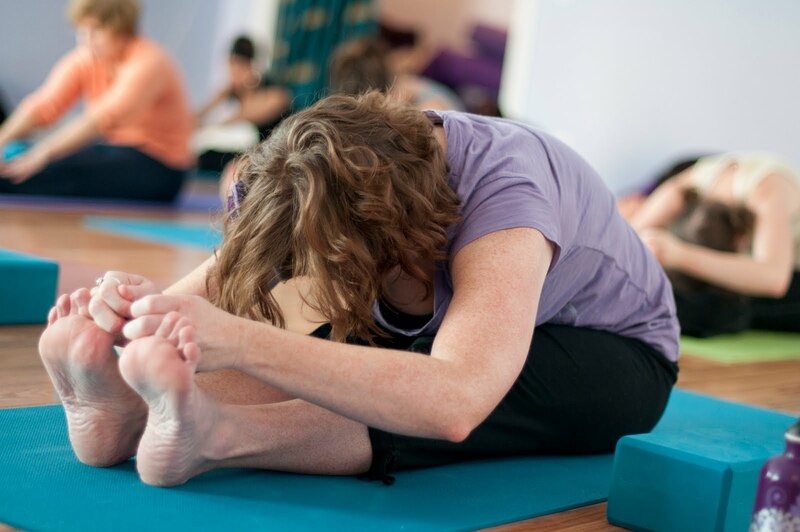 “We found yoga classes more effective than a self-care book—but no more effective than stretching classes,” said study leader Karen J. Sherman, PhD, MPH, a senior investigator at Group Health Research Institute. Back-related function was better and symptoms were diminished with yoga at 12 weeks; and clinically important benefits, including less use of pain medications, lasted at least six months for both yoga and stretching, with thorough follow-up of more than nine in 10 participants. In the trial, 228 adults in six cities in western Washington state were randomly assigned to 12 weekly 75-minute classes of either yoga or stretching exercises or a comprehensive self-care book called The Back Pain Helpbook. Nine in 10 of them were primary-care patients at Group Health Cooperative. Participants in the trial typically had moderate—not severe—back pain and relatively good mental health, and most had been at least somewhat active before the trial started. The class participants received instructional videos and were encouraged to practice at home for 20 minutes a day between their weekly classes. Interviewers who didn’t know the patients’ treatment assignments assessed their back-related function and pain symptoms at six weeks, 12 weeks, and six months. In 2005, Dr. Sherman and her colleagues conducted a smaller study that found yoga effective for easing chronic low back pain. “In our new trial,” she said, “we wanted both to confirm those results in a larger group and to see how yoga compared to a different form of exercise of comparable physical exertion: stretching. But the stretching classes included a lot more stretching than in most such classes, with each stretch held for a relatively long time. “People may have actually begun to relax more in the stretching classes than they would in a typical exercise class,” she added. “In retrospect, we realized that these stretching classes were a bit more like yoga than a more typical exercise programwould be.” So the trial might have compared rather similar programs with each other. In an invited commentary, Timothy S. Carey, MD, MPH, of the University of North Carolina, Chapel Hill, called Dr. Sherman’s study “an excellent example of a pragmatic comparative effectiveness trial,” noting that the Institute of Medicine has identified chronic back pain as a priority condition for such studies.